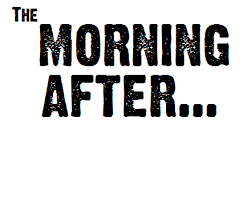 On “the morning after” there were voices in my head . . .
Then I had to stop and remember . . .
Why did I say what I did? Sadness is an emotion we feel because of a loss of something. Anyway . . . back to the main point . . .
Sunday’s message was on dealing with the emotion of sadness. I would have been the biggest hypocrite ever if I had stood, offered some nice theological declarations, and acted as if I thought religion is an absolute in conquering sadness. Religion is not the absolute. But having a foundation of faith in the totality of Divine Love is. Why did I reveal so much about my life and reveal my own weakness? Because for some crazy reason a group of people seem to be willing to listen to me pontificate week after week. I try to pontificate things that I believe are of the Spirit of God/Love . . . so, if there is something that I can share that has potential to make a difference and help people, then it is my responsibility to share it. So why the voices in my head telling me I’m stupid, weak, or made a huge mistake and now will ultimately hurt the church? Because some of our voices are negative ones. They are “bad,” and for whatever reason in this world, there always seems to be a constant duel of bad versus good. In my journey, I believe I am called to live for an audience of One; the One being God. And God is Love. So . . . the bottom line is I am called to live for Love. I find that when I am living for and in Love then I feel the free. However, there is a pull for me to “not” live in Love. We all feel it . . . and for me that pull sometimes comes by the voices in my head. They cause me to feel insecure, sad, and afraid. However, I also know that . . . So . . . I need to be very aware of what I think. My friend helped me come up with a response to the voices so that I could put them in their proper place . . .
Yep – I used a bad word but that IS the tenacity I must use with the voices. Sometimes they are just louder than others. Those voices tell us we are not enough. The voices tell us we see ourselves differently than we really are. Truth is, there is no “should be” as long as we are living in Love. The canvas is clear and we get to paint the picture by the way that we live. We get to choose. We paint the picture that is called life. The picture is most beautiful if it is grounded in the foundation of Love. Even if the picture has a little blue on it because there are times in that journey that we each face the emotion of sadness. In order to be able to paint our picture, many of us have to battle the mean voices in our heads and learn to listen to the more subtle ones . . .
We each have a voice and it is that of the Holy Spirit; the voice of God that lives and resides deep within us. This is a voice that never leaves, yet is often buried by the harsh and vociferous voices that cause us to not see ourselves as beautiful children of The Divine. For me, on the morning after, I must learn to listen to the voices that convey peace, hope, love, and strength. What are your voices? To whom are you listening?